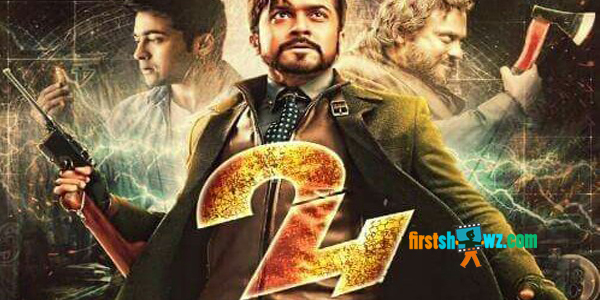 The Telugu audiences are lapping up 24 as evident from the phenomenal collections. 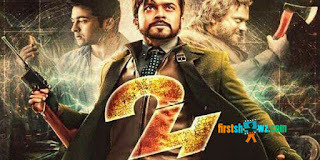 Interestingly, this is the highest grossing film at the USA box-office for Suriya garnering a phenomenal of 1.25 Million USD for both Tamil & Telugu languages. Box office stats reveal that Telugu version has generated 55% of the overall revenue and already it was known fact that, 17 plus crores collected back in Andhra & Telugu region. It seems the Telugu cine buffs are very excited about the novelty of the film and how a very complicated story has been narrated with extreme ease by director Vikram Kumar. Also, there has been a phenomenal applause for the way the concept has been treated and the audiences are raving about some of the extremely beautiful shots for instance the water drops freezing in midair and the climax gun shooting episode. We at CineGalaxy Inc., are glad to present this film to the audiences in North America and are really happy with the response it's receiving. The film entered in to second week run and running in near you with affordable ticket prices at the ticket window.